Among the 30,000 runners at Monday’s Boston Marathon was a man competing with a broken heart. 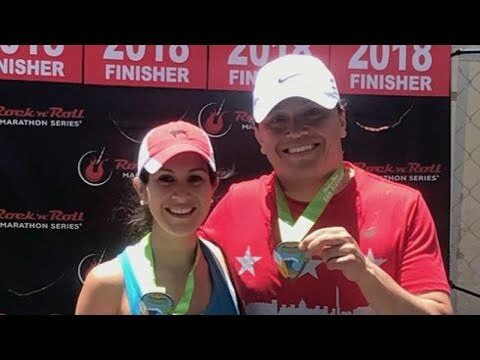 Daniel Hincapie ran the race to fulfill a dream of his fiancee, Wendy Martinez. Hincapie’s 35-year-old partner was training for the Boston Marathon when she was stabbed in Washington D.C. last September. Surveillance video showed her staggering into a Chinese take-out restaurant bleeding from seven stab wounds. Customers tried desperately to save her life but she could not be helped.